This is plated with an anti-corrosive finish, Commercial Grade and Quality. The BNC connector is used for RF signal connections, for analog and Serial Digital Interface video signals, amateur radio antenna connections, aviation electronics (avionics) and many other types of electronic test equipment. 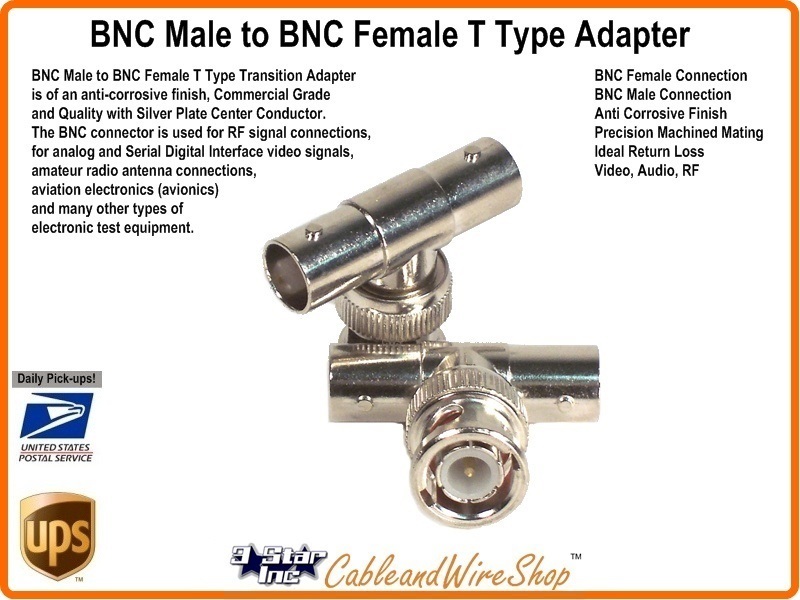 Using the BNC male to "T" BNC female will facilitate splitting or combining connections to a bulk-head BNC female with more than one Ready-Made BNC male lead. BNC connectors were commonly used on Test gear and Commercial Grade Video Sources. Some ARCNET networks use BNC-terminated coax.